No Hassles, No Upsells, Knoxville's Best Lawn Care! Let Us Show You Why! From Basement Waterproofing, to Rain Gardens, and finished off with Erosion Matting, we cover it all. A complete and thorough turn key service will leave your neighbors scratching their heads. 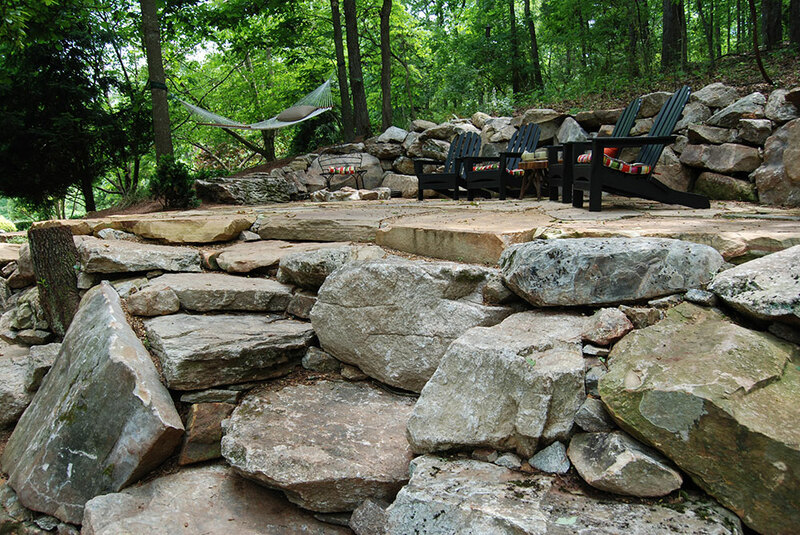 Natural rock, Versa Lok, or even Flagstone can add a new dimension to the landscape. Flagstone patios with permeable, flexible seams create a new family gathering area for years to come. Roasting marshmallows takes on a whole new level of romance. Flagstone or paver walks will add depth and shape to a landscape. It can even be built to code for wheel chair use.